Training is one of the most commonly used words in any corporate environment. Teaching and grooming employees are strategic tools critical to the success of any organization. Though the employees receive thorough training at the commencement of their jobs, the need for ongoing education via Training Video Production in Portland continues. One must keep pace with new developments in any profession. The old clichĂŠ, "time is money," emphasizes the need for training videos because they are the most time-saving and cost-effective technique to train, retrain, and jointly educate employees and managers in order for the company to grow. Consistent and organized information in a reviewable and searchable format helps the learner understand and be held accountable. Reducing the skills gap by creating training videos should be an ongoing part of any organization's long-term growth program. A consistent message delivered via portable screens, available on-demand and track-able are benefits that offset the production costs versus a live training session. Certainly employees are compensated for the screen-time but gathering employees together for training sessions means lost productivity exceeding the length of the actual presentation. Plus people enjoy watching videos. Our society has grown-up with "the screen," be it large or small. The presentation can be paused and replayed and printed materials can also be used to accommodate people with different learning styles. Some organizations already have an in-house production department. They recognize the importance and value of timely video marketing and training materials. Short of having their own dedicated department, there are many freelance Video Production Services in Portland that specialize in the production of training videos. 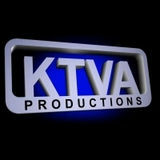 KTVA Productions is one such service provider that offers the opportunity for you and your employees, staff or organization to enjoy the many benefits of a great learning experience.